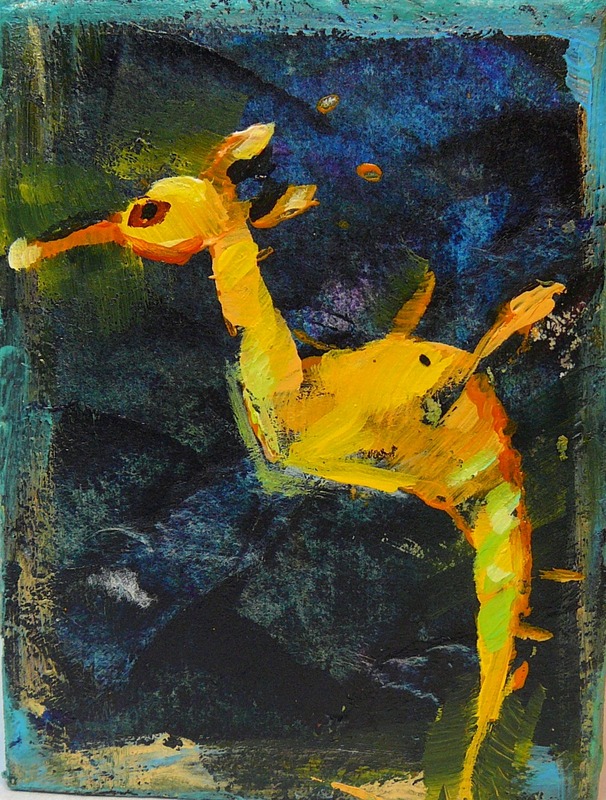 My acrylic class for adults at Place des Arts in Coquitlam is fast approaching. In preparation I am gathering together the materials and one of them is a colour wheel using the paints they will be working with. This unusual use of a snowflake came about after Christmas last year. As I walked by the snowflakes on sale, I had a eureka moment when I realized they were perfect for teaching colour theory on. I took a few home and primed them white with gesso and then added colour. I like how primary, secondary, and tertiary are present in this formation. 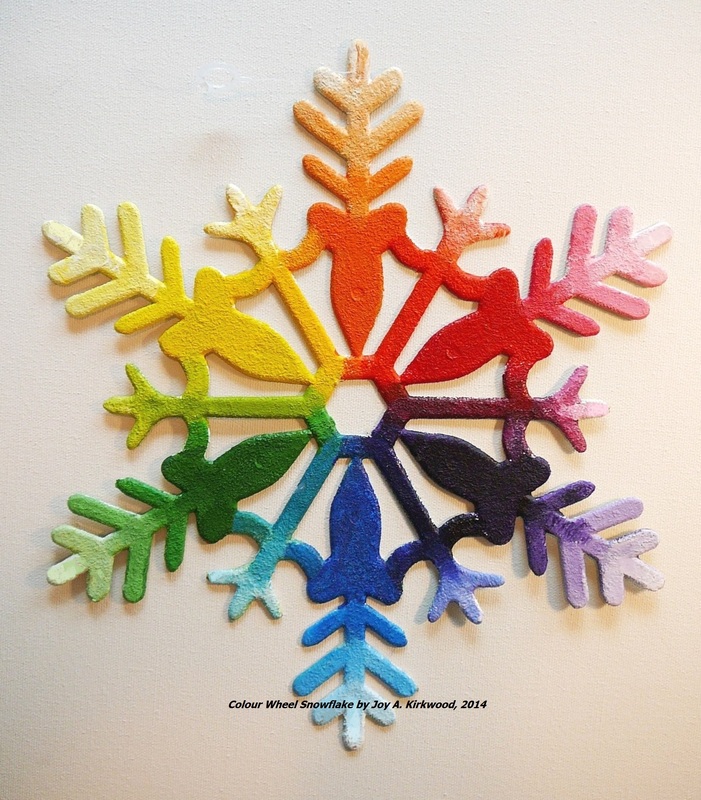 Trust an artist to see a snowflake in multi-colour!